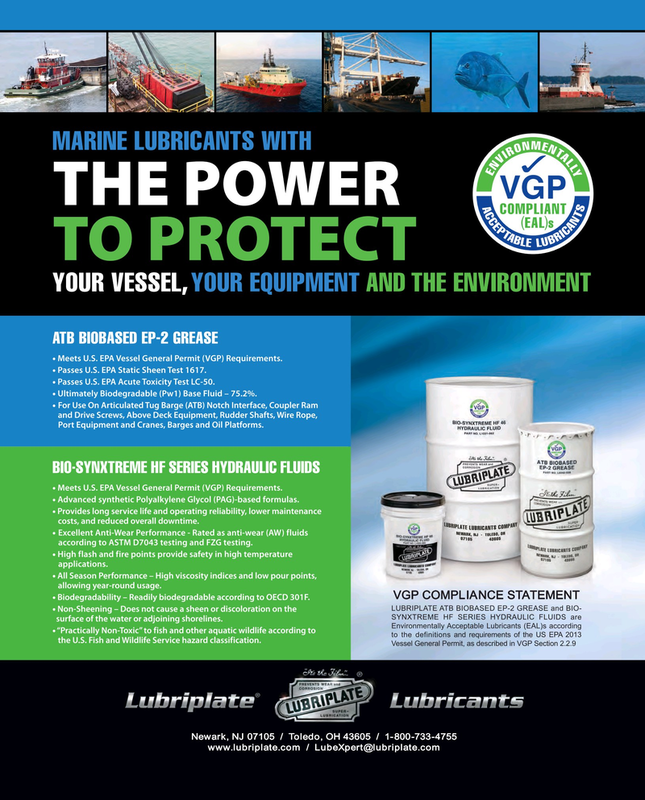 ATB BIOBASED EP-2 GREASE • Meets U.S. EPA Vessel General Permit (VGP) Requirements. • Passes U.S. EPA Static Sheen Test 1617. BIO SYNXTREME HF SERIES HYDRAULIC FLUIDS- • Meets U.S. EPA Vessel General Permit (VGP) Requirements. • Provides long service life and operating reliability, lower maintenance costs, and reduced overall downtime. • Excellent Anti-Wear Performance - Rated as anti-wear (AW) fluids according to ASTM D7043 testing and FZG testing. • High flash and fire points provide safety in high temperature applications. • All Season Performance – High viscosity indices and low pour points, allowing year-round usage. VGP COMPLIANCE STATEMENT • Biodegradability – Readily biodegradable according to OECD 301F. SYNXTREME HF SERIES HYDRAULIC FLUIDS are surface of the water or adjoining shorelines. Environmentally Acceptable Lubricants (EAL)s according • “Practically Non-Toxic” to fish and other aquatic wildlife according to to the definitions and requirements of the US EPA 2013 the U.S. Fish and Wildlife Service hazard classification.